Situated a two-minute walk from Bargara's enticing beaches eco-certified Kelly's Beach Resort is your one-stop-shop for guaranteed school holiday fun. With an average winter temperature of 25 degrees and sunshine most days, escape the cold and take the kids on a holiday like the ones from your childhood – relaxed, easy and action packed, all without leaving the resort! 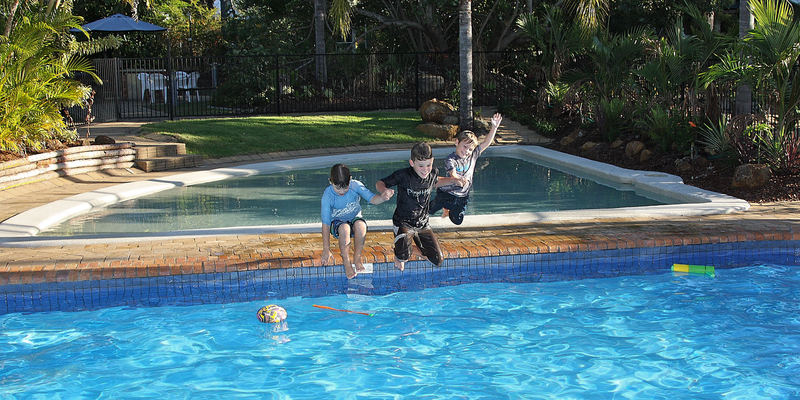 Kids don't need an excuse to get wet, and at Kelly's Beach Resort even mum and dad will be up for a game of Marco! Polo! in the heated tropical pools. The well-stocked games room will keep your munchkins entertained while you relax with those good books you've been meaning to read. Relax out under the stars in the outdoor cinema. Cosy up with the kids to enjoy a family-friendly movie or watch from your deck as you enjoy wine and cheese with your neighbours. Pick from the well-stocked bike racks, available to hire from the front desk, and go for a ride along the Turtle Trail from Bargara to the Port Marina. Make a stop for a locally made gelato for the kids and a coffee for yourself, and wash sticky hands in the surf at any of the amazing beaches along the way. 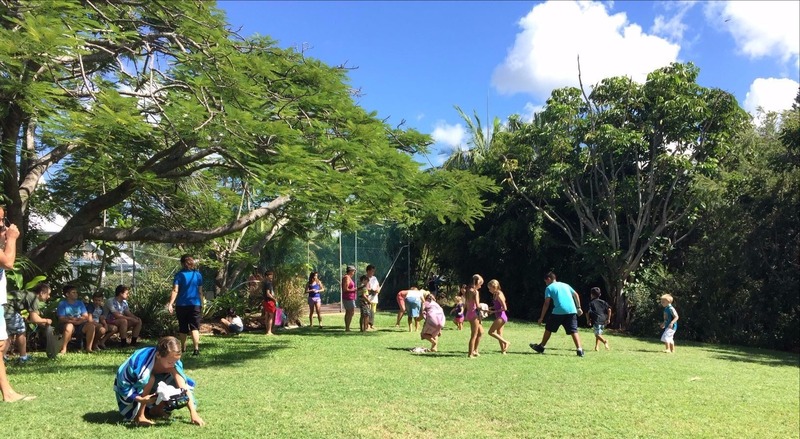 With over 5.5 acres of gardens at Kelly's Beach Resort, the kids will sleep hard after spending the day chasing friends and playing laser skirmish. Face painting available during Thursday Happy Hour this school holidays! Be prepared to have a phone full of selfies as the kids transform into a turtle ... or a tiger ... or a fairy ... or anything at all! Go for a dip in the spa while the kids play around in the pool. Treat yourself to some me time and soak up the gorgeous winter sun. Sweat out the stresses of the school year so far while the kids burn off energy in the gardens or the games room. Voted Bundaberg Best Restaurant 2017, Kelly's Beach Resort restaurant offers the goods with beautiful buffet breakfasts and fresh seafood, with something to satisfy even the pickiest of eaters! Get active (and social) with a game of tennis with your other half or some newfound friends at the resort. Head over to the restaurant for a well-deserved lunch afterwards. No holiday is complete without a Happy Hour... or two! Flip a coin for who takes the kids on a bike ride one afternoon while the other enjoys a much-deserved cocktail. Click here to book your holiday today!